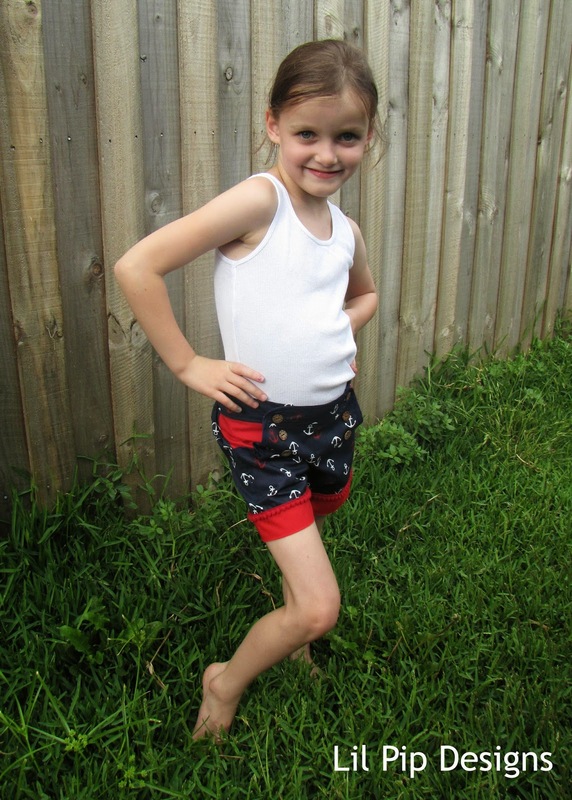 I had all these intentions of sewing a wardrobe full of clothes for Kids Clothing Week, to dazzle you all with my creations, to schedule something for each and every day – but that didn’t happen. This week I’ve gone back to work after nearly 6 weeks off for the summer holidays and while I did have time then, I just did so many other things! 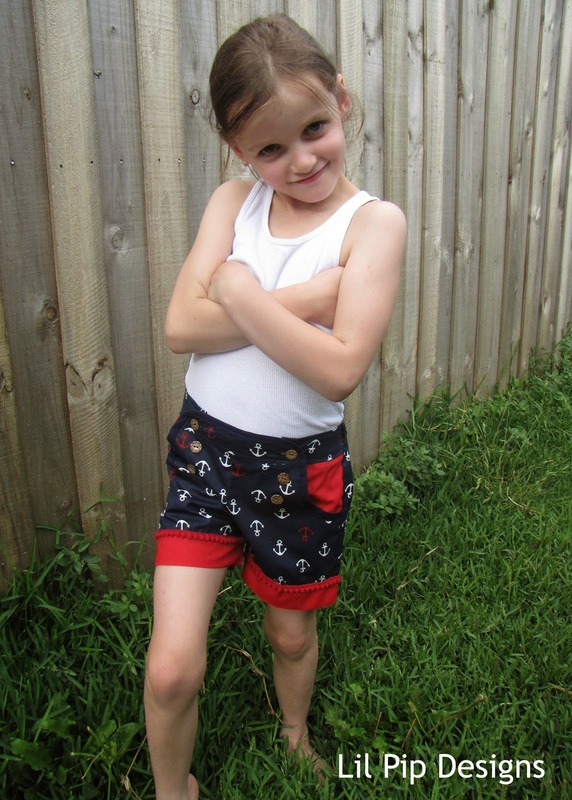 I did however manage to sew these insanely cute sailor shorts with thanks to the fabric that arrived in my January Sew Box Subscription. 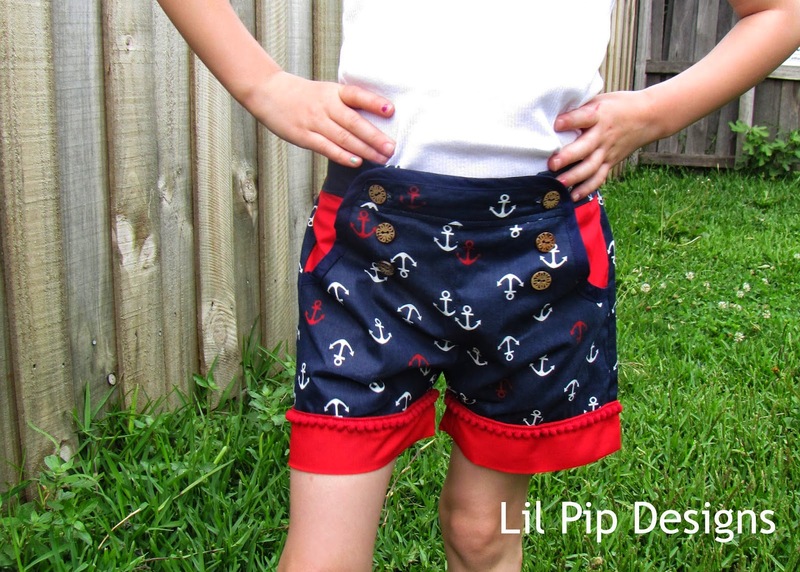 In fact the anchor fabric, binding and buttons are from the January box and the red trim from the November box. The only things I added where the red cotton and the elastic. Awesome!! 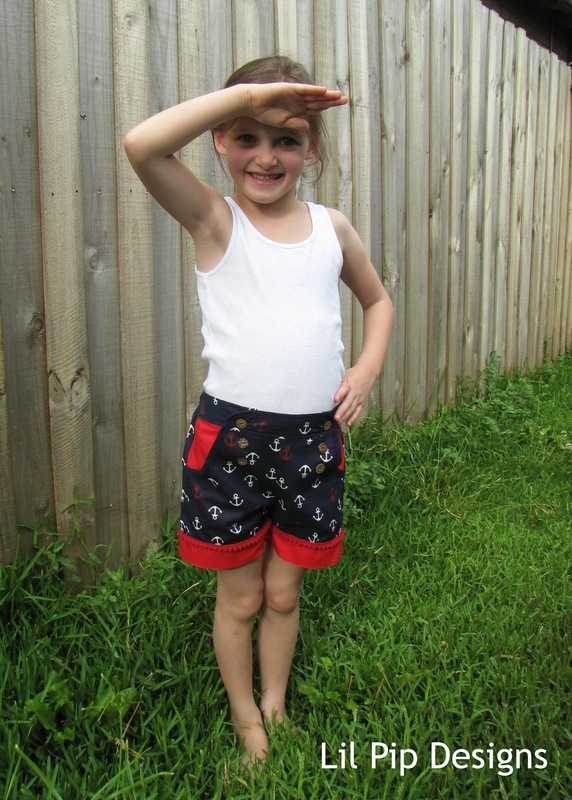 I missed the bandwagon a few years ago with these sailor style shorts were all the rage but I thought this fabric really suited this style. This is her idea of modeling. Oh help me! It is a relatively easy sew, probably only took me an hour or so. Oh except when my button holes weren’t working so I took the opportunity to add them when I visited my business partner for the day (thanks Bridie). I did change the bottom cuffs a little from the pattern, adding the trim and sewing them slightly different to enclose the edges completely. As you can see, miss 5 (nearly 6!) loves them. Have you or are you making anything for Kids Clothing Week? The theme is upcycled and though this isn’t technically, I didn’t go out and buy anything new! Is that a little pom pom trim on the cuffs? Love the effect!!! A lovely pair of shorts, Jane. Cute, totally forgot about it being this week.